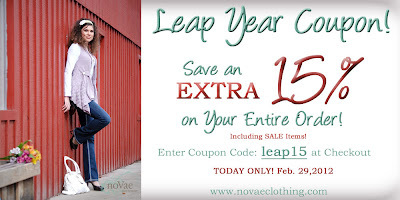 noVae Clothing + Leap Year Sale = Coupon! to receive 15% OFF your Entire Order!! noVae Clothing - NEW Spring Release! noVae Clothing = Modest Clothing! They just released Handbags for the FIRST time!! They are all Gorgeous! They even show you pics. You can remove the Bloom aka Flower & Interchange those too! They Sell the Entire Outfit this model is Wearing!! They added more Vintage Spoon Necklaces & Vintage Keys too!! Hapari - Modest Swimwear- FREE Shipping! 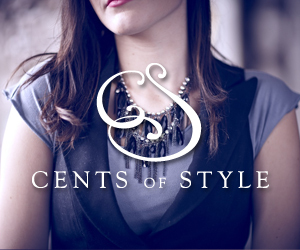 Cents of Style: 15% OFF + FREE SHIPPING = Awesome! 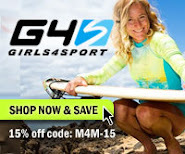 has a 15% off Coupon waiting for YOU! GO HERE to get it!